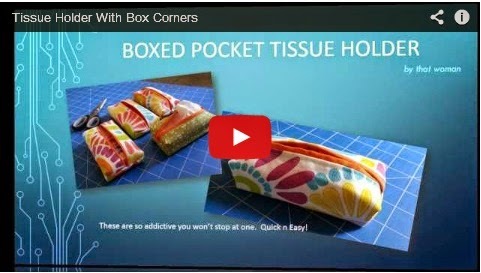 Here is today's project/tutorial an adorable 'Boxed Pocket Tissue Holder'. These are so darn cute! I have made so many of these using up scrap pieces of material for something that has a good use. Perfect for one of those last minute gifts. As a thank-you. And what could be better for a teacher's gift. Imagine them made up from Christmas material! My brain is in overload thinking of the possibilities. I promise you when you have made one you won't stop there. Here I have given my written tutorial and if that is not clear enough I have put the link to my YouTube video. Enjoy! 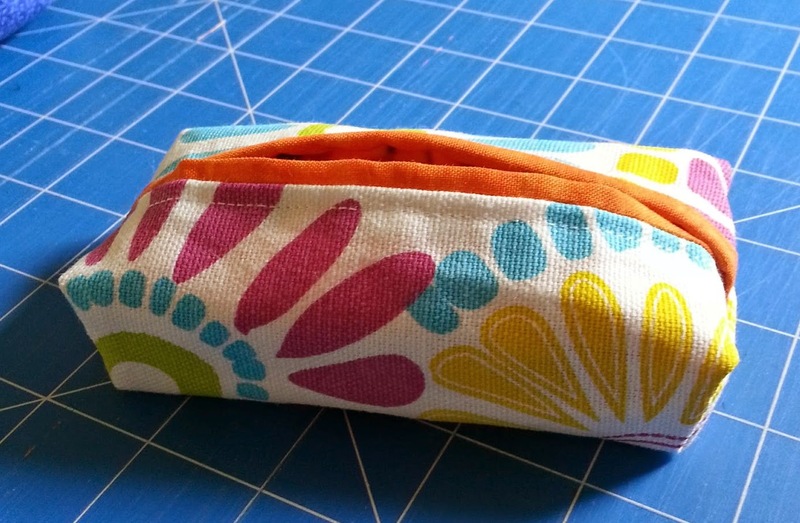 A quick and easy sewing project to make as a gift in only half an hour. 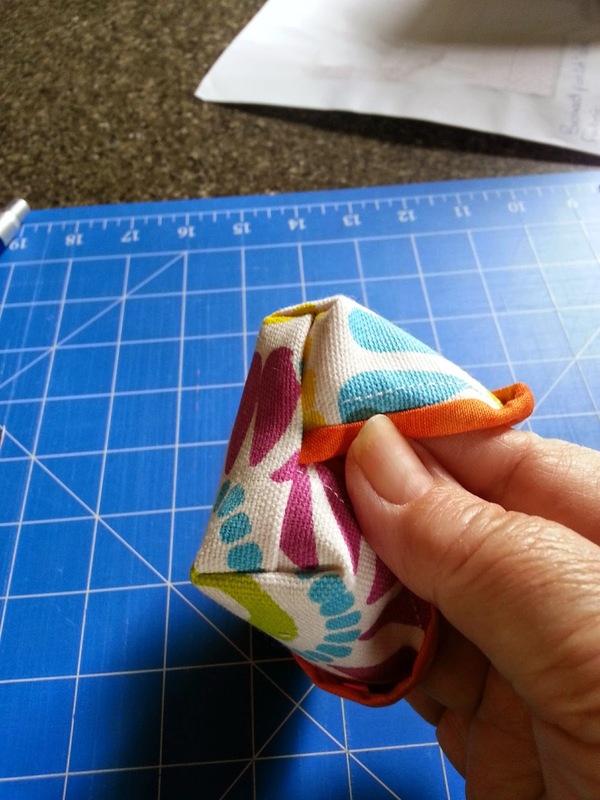 Use up scraps of material you have left over from other projects. 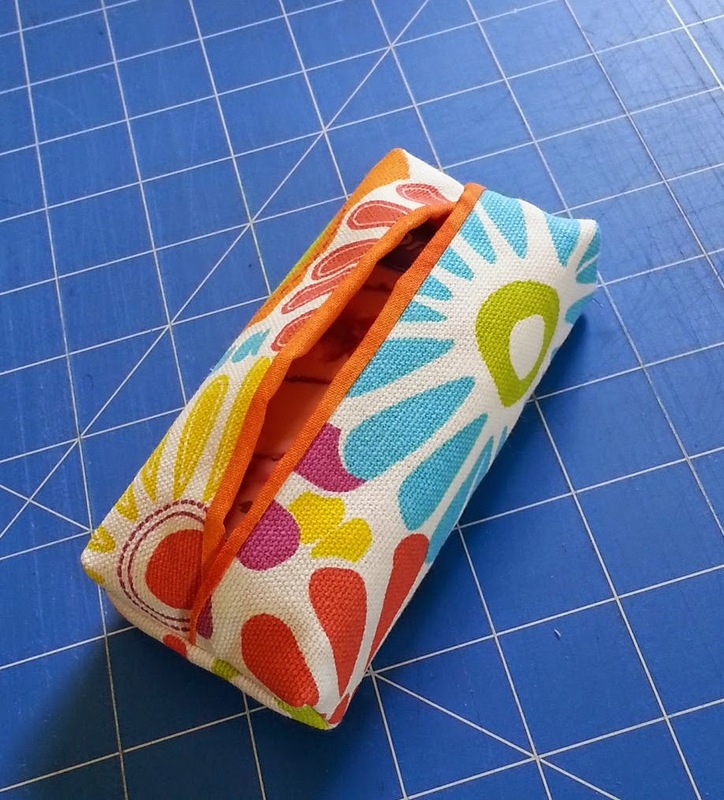 Cut your fabric in contrasting colours/patterns. 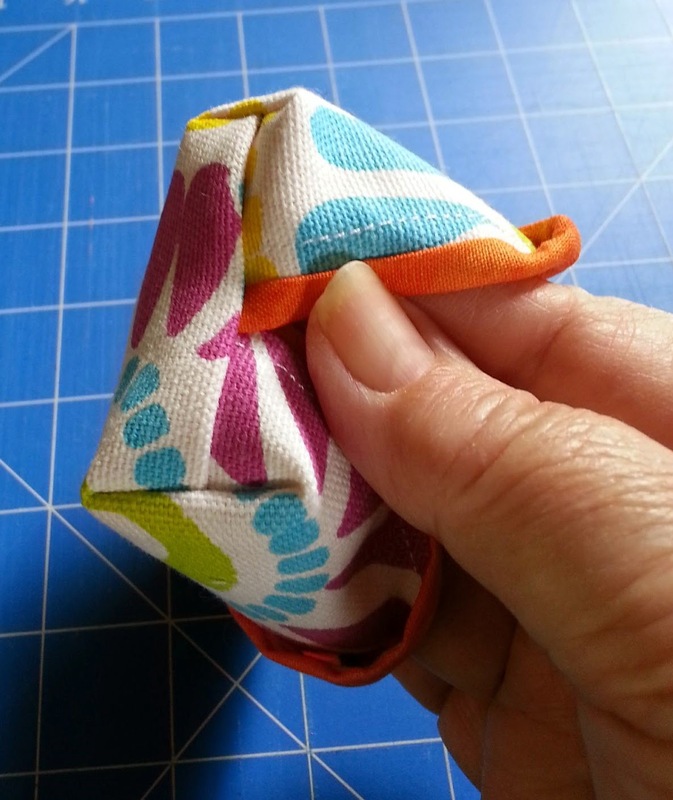 Sew the short ends good sides together using a ¼” seam allowance. 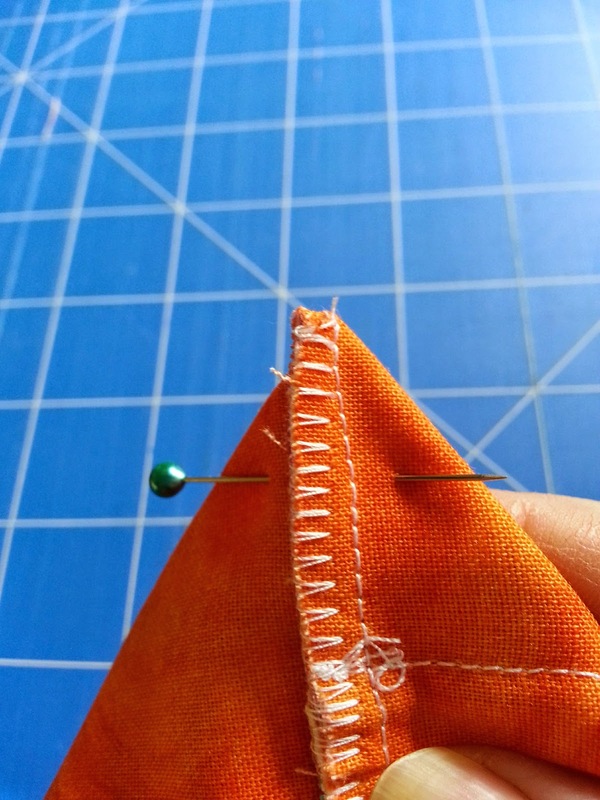 The outer fabric is shorter than the inner so just take it over and sew accordingly. Then press with the iron. This is how it should look. 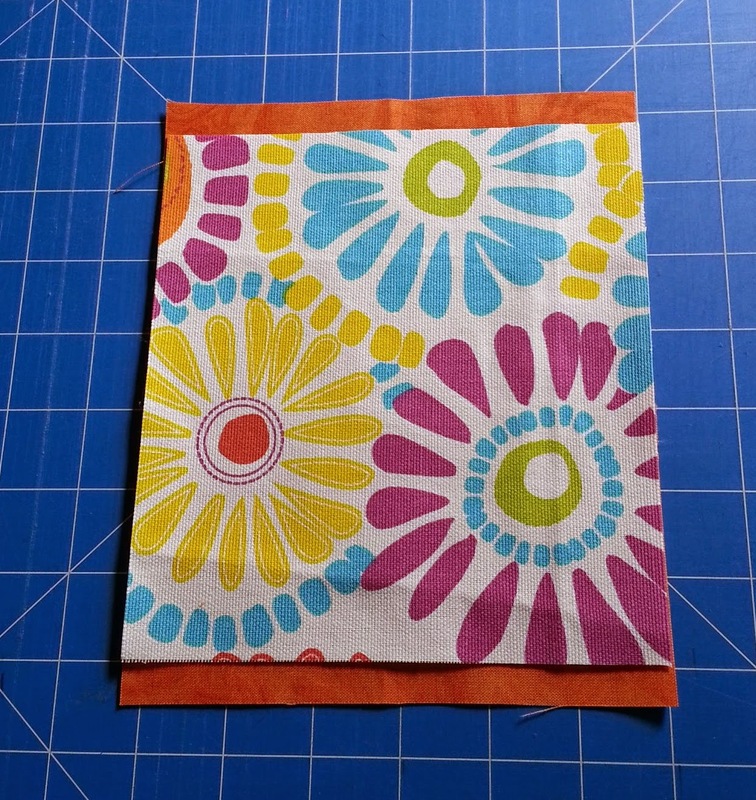 You will have a border of inner fabric showing on both sides. This is correct. 4. With the top side upwards mark the centre of fabric on the long sides. This is to be your guide. 5. Bring up both sides to the centre marks and pin into place. 6. 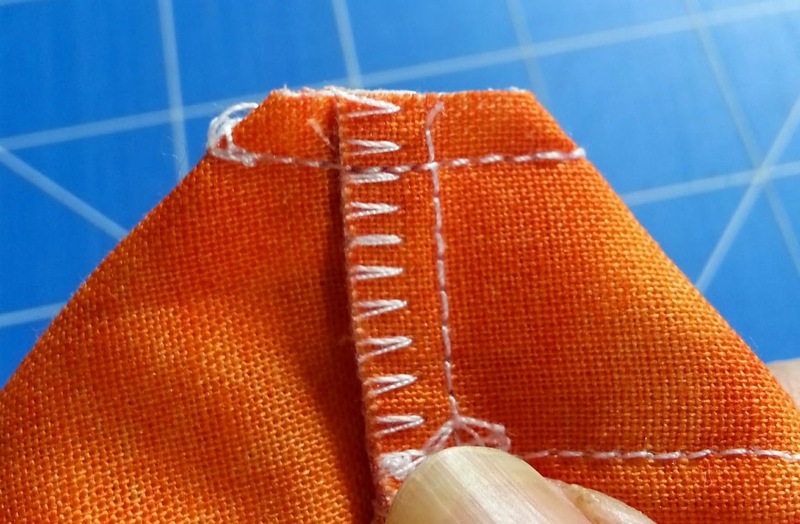 Machine stitch across reinforcing the centre connections. 7. 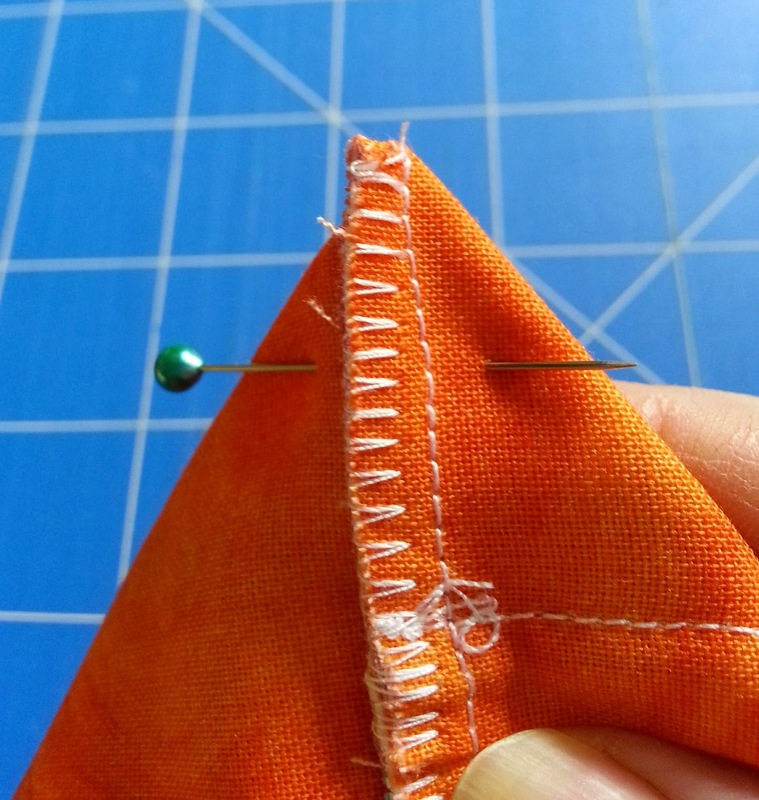 Trim the edges and use an overcast stitch to neaten off. 8. 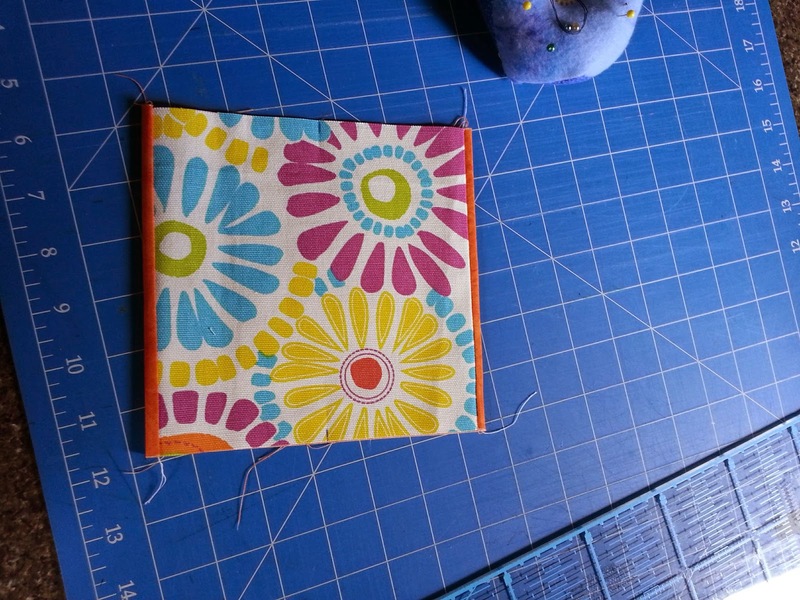 To box the corners spread your corner side seam with the crease line formed. Align them and pin approximately ½” down horizontally. 10. Trim off the corner. 11. 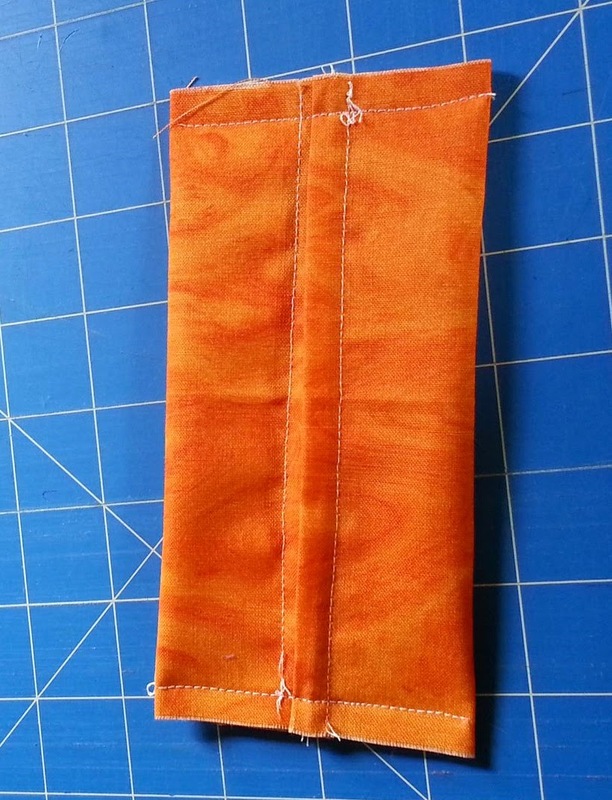 Trim off any hanging threads and then turn right side out. Push out all four corners with your fingers or a blunt tool. 12. Place in your pocket tissues. Voila! 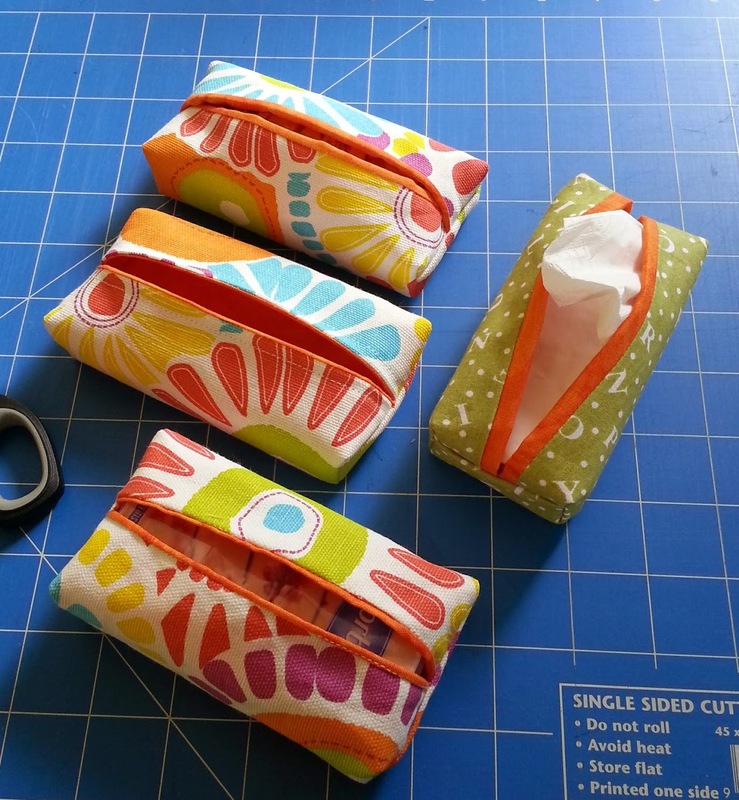 Your ‘Boxed Corner Pocket Tissue Holder’ is complete. If you found this tutorial interesting please like/share on Facebook/Twitter with friends and family. Thank you.